Some things just make no sense, like gravy on chips. Salt and vinegar, yes; ketchup, of course; even mayonnaise in tribute to our Belgian friends. But gravy? Really? 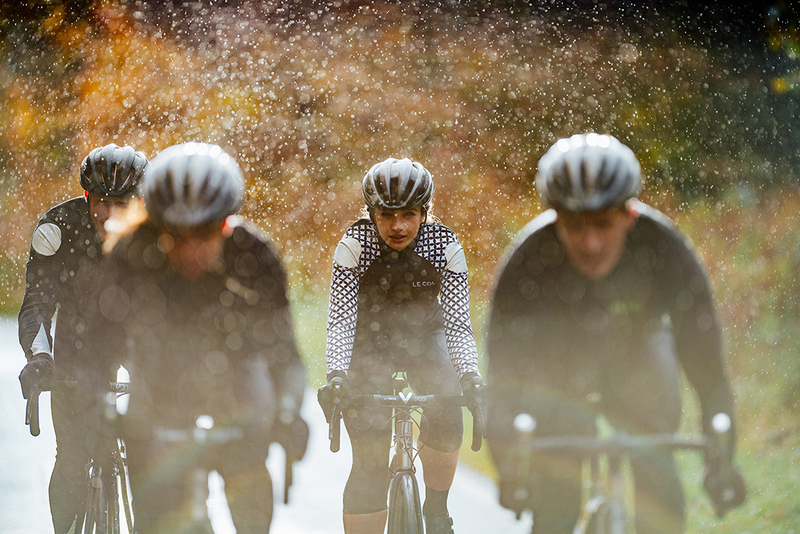 The same puzzled look spreads across our faces when we hear a cyclist excuse their sluggish performance because of their leaden ‘winter bike’. 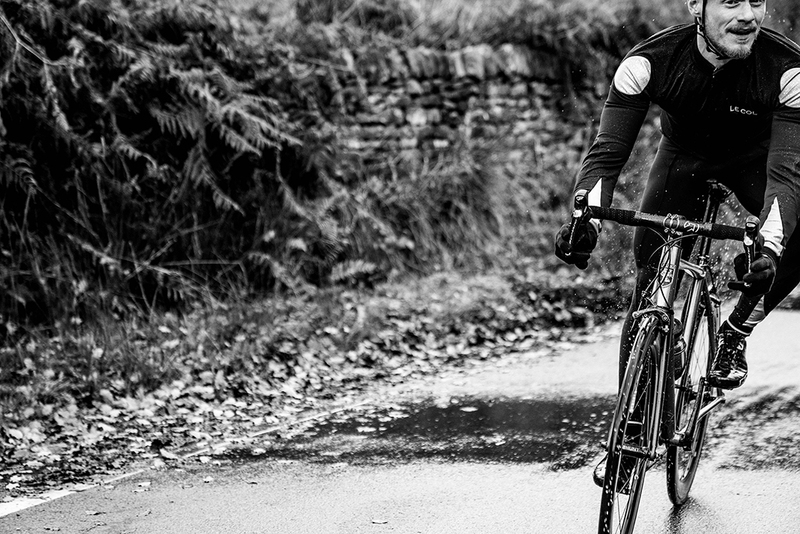 At J.Laverack Bicycles we make bikes to ride, whatever the weather, whatever the time of year. 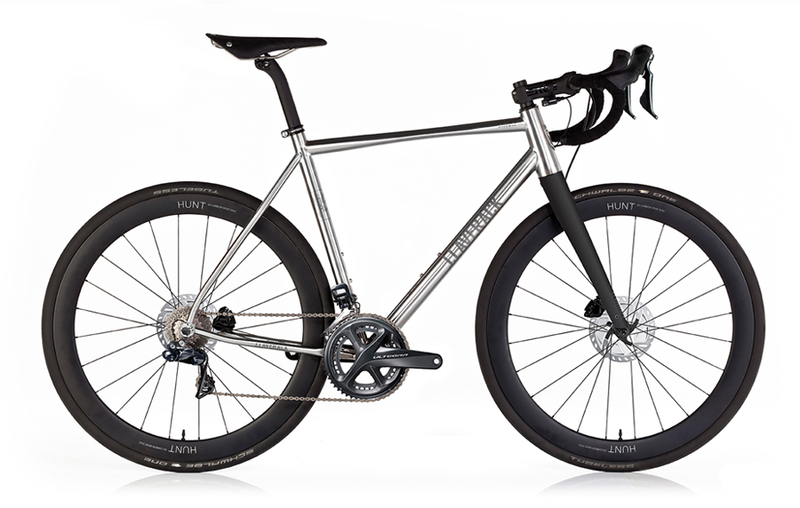 It’s one of the beauties of working with titanium – a quick spray of baby oil pre-ride, a wipe with a clean cloth afterwards, and the frame returns instantly to its original polished glory, ride after ride, year after year, decade after decade. 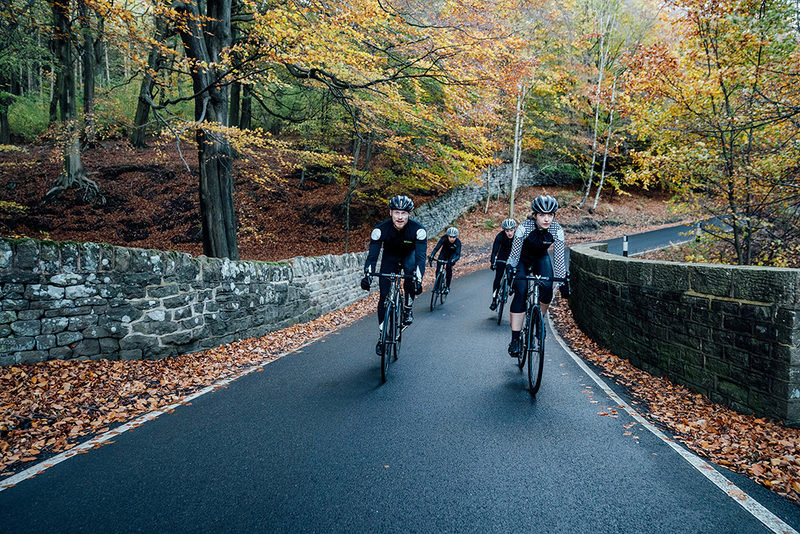 And so it is that we find ourselves in the Peak District on the cusp of autumn and winter, with grubby roads and rain in the forecast. 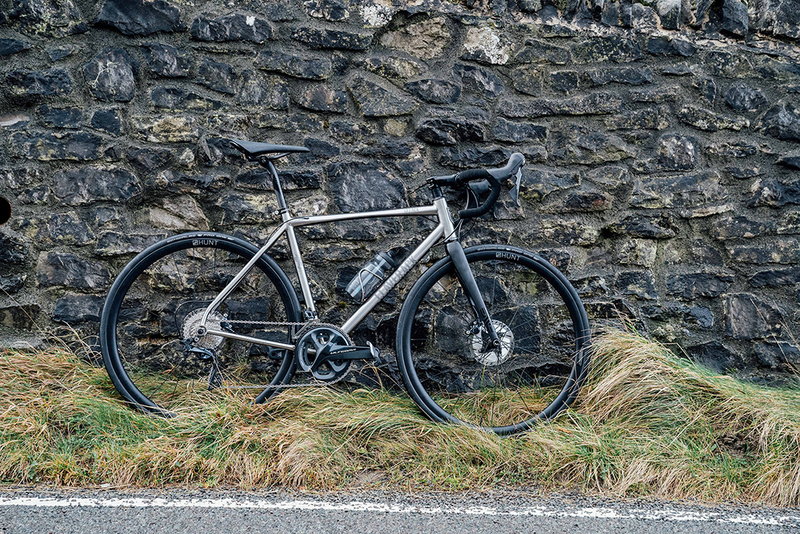 Ahead lies a day in the hills and a chance to snap a few photos of our new R J.ACK Disc in action. 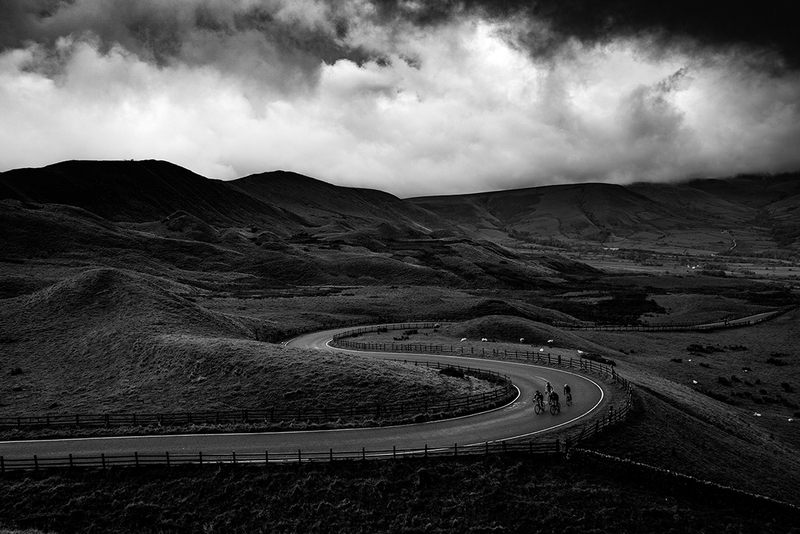 Many bike brands would automatically head to Majorca, South Africa or California for this type of photo shoot, seeking guaranteed sunshine and velvet-smooth asphalt. But real life isn’t like that. Real life is pot holes and puncture-prone avenues of hawthorn cuttings. It’s riding through the sweet and smelly left by a dairy herd on its way to the milking shed. It’s cloudy skies and getting lost and cafés that have run out of milk. 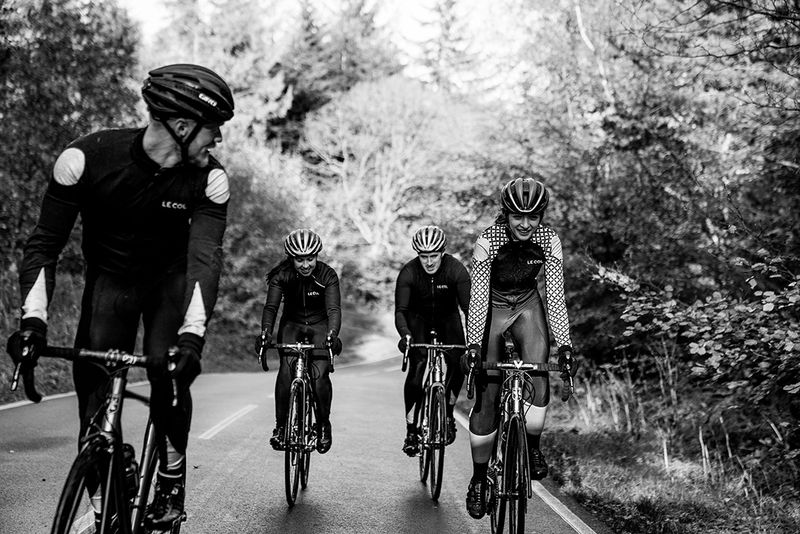 Above all, it’s about the thrill of the ride, the bond of friendship and the delicious feeling of fatigue after the final pedal revolution of the day. That’s when memories are made. 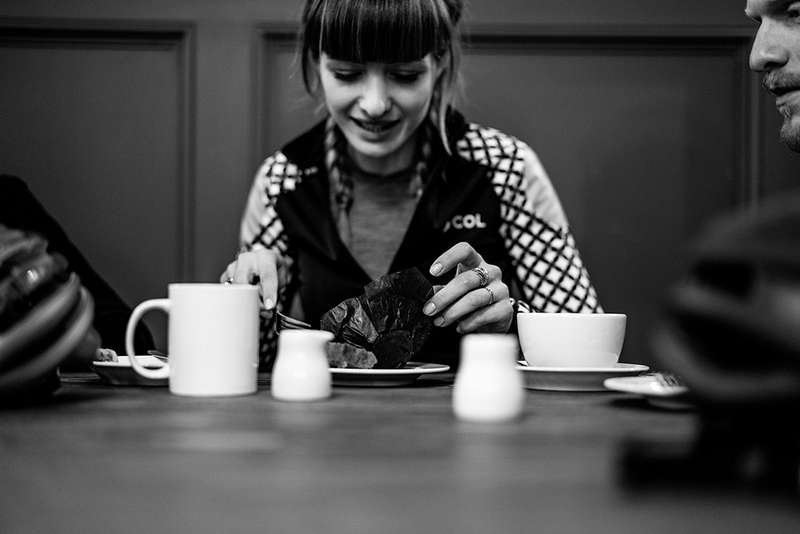 Zipped up against the elements in stylish Le Col kit, we point our front wheels out of Castleton and brace our legs for an instant shock. 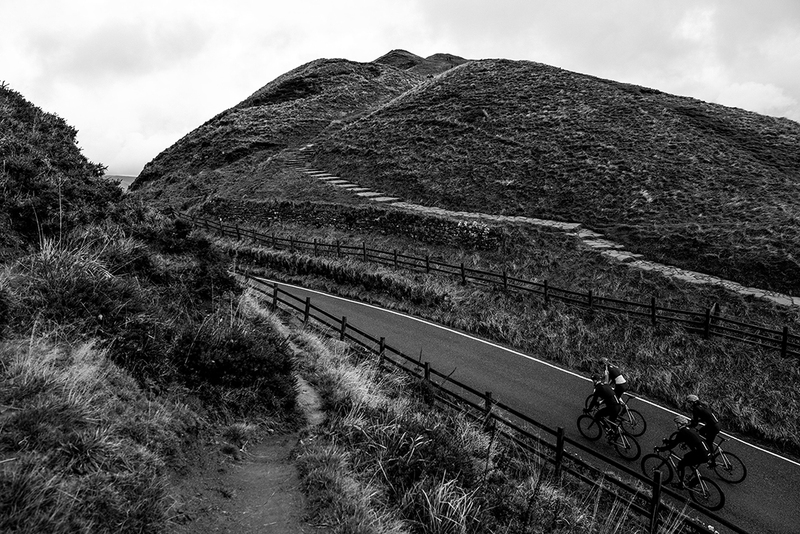 There’s no warm up before Winnat’s Pass, no leisurely coasting to get the blood flowing. 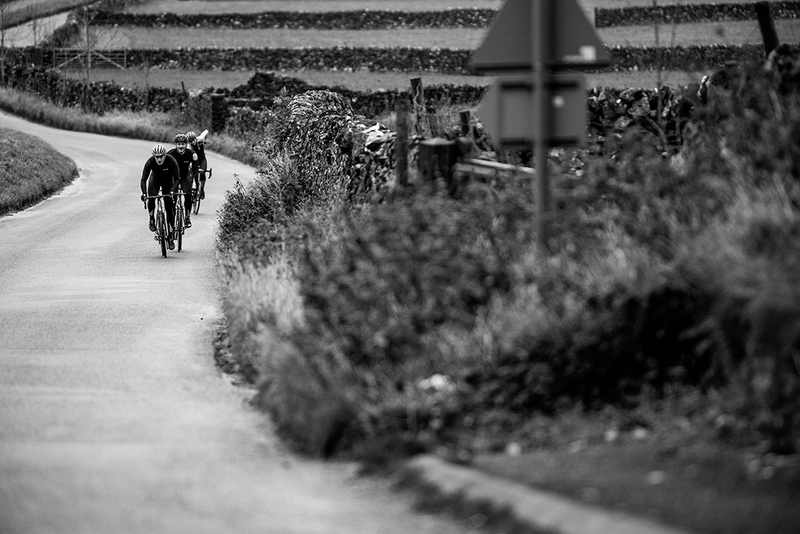 There’s just a left turn, a cattle grid and wallop – a wrecking ball headwind and a double digit gradient. It’s brutal, a slow motion climb along the foot of a chasm whose rocky walls tower above us on both sides of the road. The gritstone cliffs funnel the wind, and explain the dialect translation of Winnat as Windy. We’re all out of the saddle when the slope hits 20%, grazing sheep stare in wonder, and any gung-ho thoughts of racing to be first to the top have subsided to survival instincts. Gradually the silence of the descent is broken by chatter as we catch our breath. 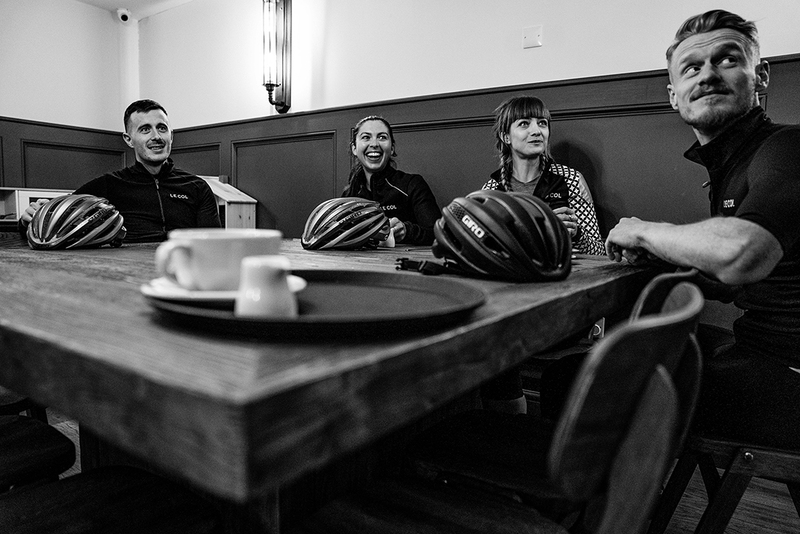 We are James, Marina, Andy and Jo, friends and cyclists no longer sure which came first, the friendship or the cycling, and united in our belief that this is a day to treasure. You can see it in our eyes, in our smiles, in the glow of our cheeks – no need to say it, no need for telepathy, it’s obvious. 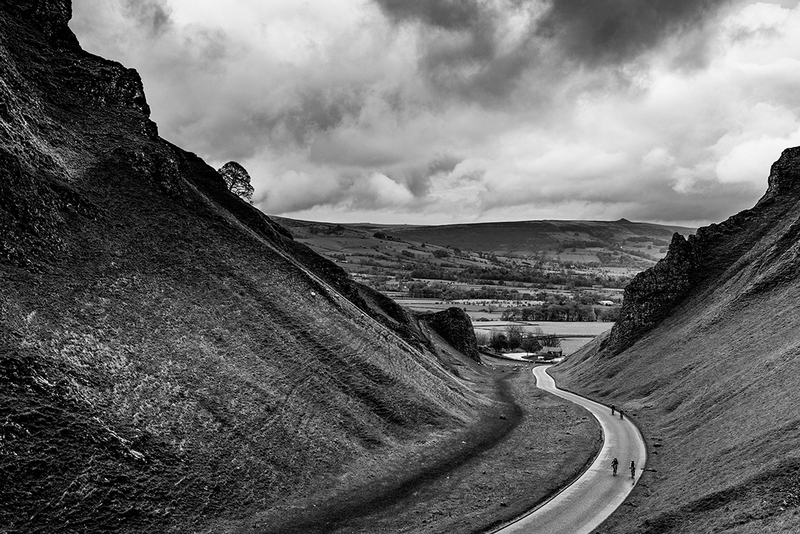 The wind ushers us south down the single track road of Perry Dale to Peak Forest, then Tideswell and Miller’s Dale. The names are straight out of Chaucer’s famous tales. 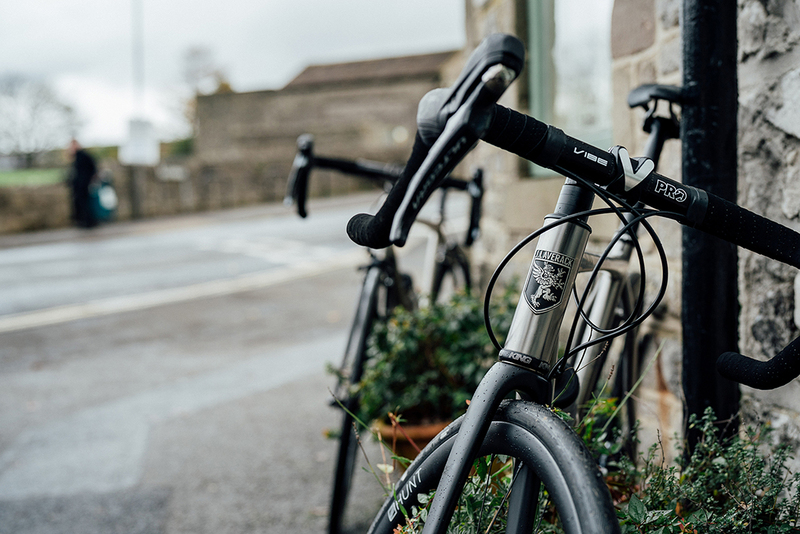 We park the bikes outside the tiny Old Smithy café in Monyash and huddle on the picnic bench; they serve pints of tea or filter coffee, as ideal for cupping with chilly fingers as they are for quenching thirst. The carrot cake wins our four-way bake off challenge. This is an achingly pretty landscape, punctuated by field barns and parcelled by drystone walls into grazing meadows. The leaves have turned, but are clinging to branches, a kaleidoscope of gold and ochre against the bruised sky. When the clouds briefly clear, the autumn colours gild the landscape to dazzling effect. We push on, changing formation to take the wind or enjoy a respite, breathless on the ascents, and fearless on the descents. 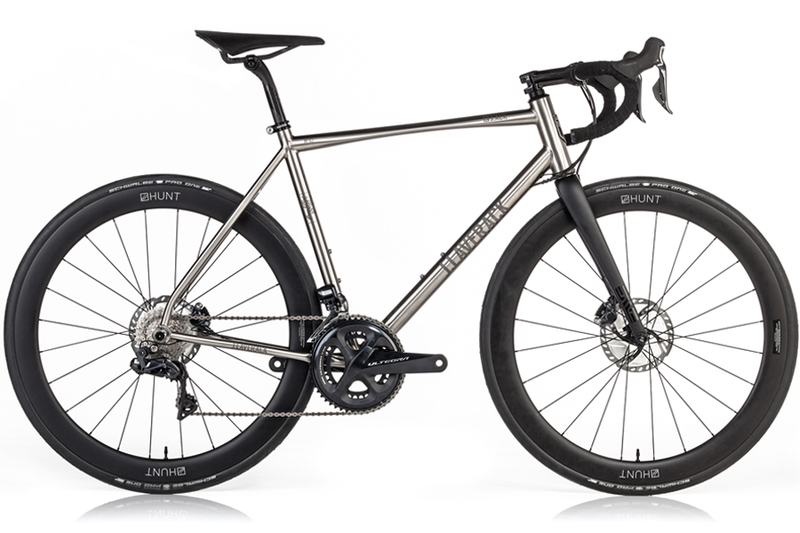 The composure of R J.ACK on pitted road surfaces, its taut, agile frame, and the disc brakes’ reassuring stopping power urge us towards hair-raising speeds. Appetites sharpened we stop for lunch at Blueberry Cafe in Castleton and laugh until our orders arrive, at which point the silence pays the greatest compliment to the food. If this ride were to end now, we’d look back on it with the greatest fondness. But we’re following a giant loop through the White Peak that eventually delivers us at the foot of one final stinging climb. The village of Hope, such an appropriate name, ushers us on our way. Before us stands Barber Booth, the ascent from Edale to the cleft between Mam Tor and Rushup Edge. There’s a collective clicking as our chains cascade to the little ring and up the cassette to greet the 16% gradient. The pitch of the climb flattens for a while before spiking again closer to the top, lactic acid coursing through our quads. 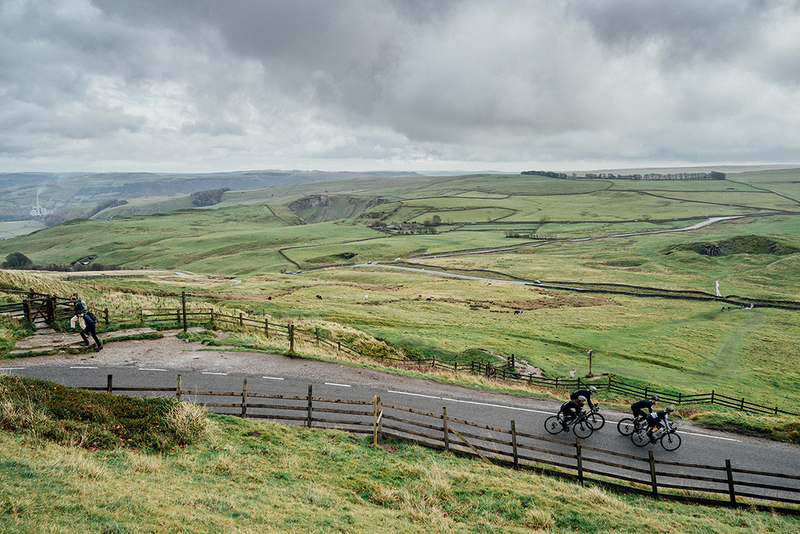 We’ve strung out a little over the 2km climb, but regroup at the top for high fives followed by a thrilling descent that eventually hurtles us down Winnats Pass back to Castleton. 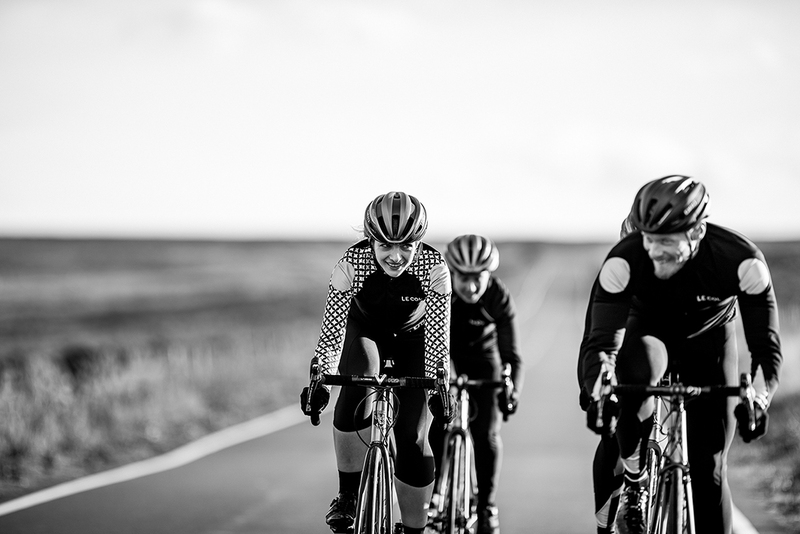 The bikes are poised and confidence-inspiring, the briefest feather of the disc brakes scrubbing the edge off our top speeds, before an exhilarating ride comes to an end. Save your best bike for summer? Never! Just get out and ride and love every minute of it. On the day our models wore apparel by Le Col, and helmets/shoes by Giro.